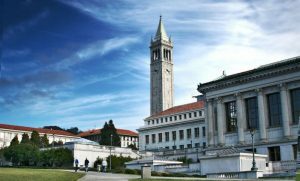 UC Berkeley’s disastrous partnerships with Novartis and BP are cautionary examples of all that could go wrong when public universities allow private interests to lease vast swaths of their campus for years at a time. In 2007, the University of California, Berkeley, entered into a historic and highly unusual partnership with the British oil company BP: the petroleum giant would spend $350 million building an Energy Biosciences Institute (EBI) at the Berkeley campus, and in exchange it would reap the benefits of the school’s research into biofuels. More controversially, BP would be allowed to lease commercial research space on campus, where its employees could work side by side with students and professors. And while the school’s own research would be publishable, anything done specifically for BP would be proprietary, meaning that research funded in part by taxpayers, and carried out in publicly owned research facilities, could be kept secret forever under the arrangement. It was a controversy of the sort UC Berkeley had seen before. In The Uses of the University, UC Berkeley’s first chancellor, Clark Kerr, described a postwar “multiversity” faced with balancing the interests of the government, the military, and private industry, as well as the interests of students and professors. A year after its 1963 publication, Kerr’s book came to represent, for student protestors, a tacit endorsement of military and corporate incursions into university life and the university mission. Nearly four decades later, it was difficult to see these concerns as anything but prescient; Kerr himself was forced to admit that his notion of a “multiversity” was increasingly vulnerable to corruption by private interests. “The university ought to remain a neutral agency,” Kerr said. “Devoted to the public welfare, not private welfare.” Kerr’s concern over the university’s waning dedication to the public welfare was prompted by UC Berkeley’s 1998 partnership with the Swiss pharmaceutical giant Novartis. Over the course of five years, Novartis, which also produced genetically engineered crops, would fund $25 million worth of research at UC Berkeley’s Department of Plant and Microbial Biology. In exchange, the school granted Novartis the right to negotiate licenses on about one-third of the department’s discoveries, including those which were funded by state and federal taxpayers. Most controversially, the agreement gave Novartis two of five seats on the department’s research committee, which was tasked with making crucial decisions about how the department would spend its money; the other three committee seats were held by professors who had received, in total, more than half a million dollars in research funding from Novartis. The backlash was immediate: students protested, the media descended, and faculty in the Department of Plant and Microbial Biology were isolated from their colleagues, who avoided discussing interdisciplinary research with them for fear that it would end up in the hands of Novartis. In the spring of 2000, the controversial partnership became the subject of tense hearings in California’s state senate, where some Berkeley faculty learned for the first time that their contract with Novartis was not in every way what it had seemed. 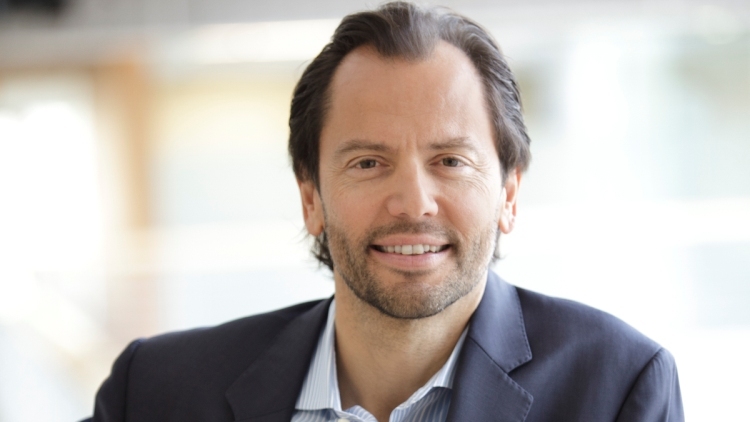 Access to genomics data owned by Novartis, which had been a key selling point for many UC Berkeley researchers, was contingent on signing a confidentiality provision with the Swiss company. This provision, Senator Steve Peace noted, would shrink the amount of agricultural knowledge available to the public while accelerating the monopolization of basic biological research tools necessary for certain kinds of plant breeding important aspects of the global food system, increasingly under the control of a few large corporations. Four years later, after considerable rancor, an independent review conducted by a team from Michigan State University concluded what had long been obvious to critics of the deal: the Berkeley–Novartis partnership was a failed venture that should not be repeated. And yet it was repeated, just a few years later, when Berkeley announced its partnership with BP. Many of the details were familiar: Berkeley’s corporate partner would help choose the institute’s director, while other high-level positions would be filled by appointees or employees of the oil giant; BP could end up co-owning some of the institute’s intellectual property; and despite the fact that Berkeley banned classified military research on its campus, on the basis that scientific breakthroughs are meant to be published and shared, the school’s agreement with BP allowed for a “no obligation to publish” clause. These ethically cloudy waters grew murkier still after BP’s offshore drilling rig, Deepwater Horizon, began leaking oil into the Gulf of Mexico in April of 2010, sparking fresh concerns about the seventy projects Berkeley researchers were working on with the oil company. Market conditions, in other words, forced the Berkeley institute to stop its research work on converting plants to fuel as it considered what other industries might benefit most from its laboratories and the expertise of its researchers—renewable lubricants, for instance, or perhaps converting sugarcane into jet fuel. “All the big companies in renewable liquid fuels and chemicals” were on the table as potential replacements for BP, Somerville said, as though Berkeley were a NASCAR team in need of a new title sponsor. The Bayh–Dole Act, which was meant to incentivize universities and professors to do significant, groundbreaking work, has instead forced one of America’s most impressive universities into a kind of mercenary science; like the tail that wags the dog, the laboratory will let its patron lead the way—toward the next important breakthrough in science, technology, or medicine, perhaps, or maybe toward whatever will get the company’s executives through their next shareholder meeting unscathed. Berkeley’s disastrous partnerships with Novartis and BP were cautionary examples of all that could go wrong when public universities allowed private interests to lease vast swaths of their campus for years at a time. 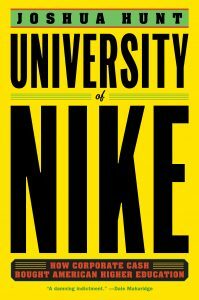 Phil Knight and the University of Oregon, meanwhile, moved toward a venture that seemed to be premised on a different takeaway from Berkeley’s woes: don’t lease what you can buy.